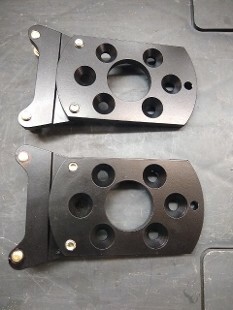 Custom Front Brake Caliper Mounting Bracket allows for mounting in front or rear of the wheel to compensate for steering linkage interferences, ackermann plates or personal mounting preferences. 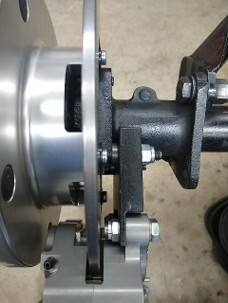 Includes mounting hole for those with bolt on steering arms. 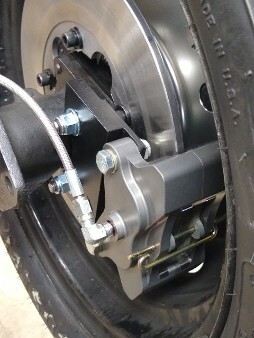 This is a NO Compromise Brake System utilizing the BEST components! Order Details: These systems are produced in productions runs of 6 sets. If you are interested in ordering or have questions, please email us. 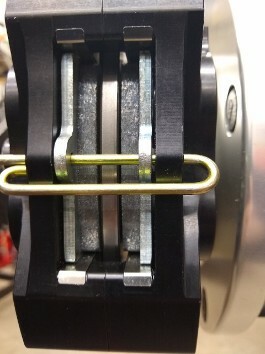 We accept cash, checks or direct bank transfer. 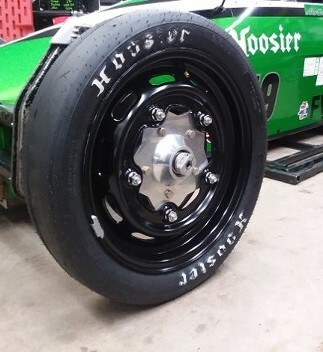 A note to our FV Community: Our intent when pursuing this project was to develop a low cost FV Disc Brake system that would have superior performance, and of course be SCCA legal. 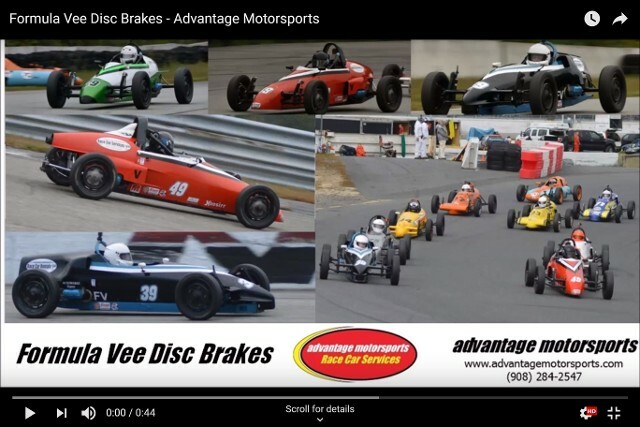 While we are very proud of our FV Disc Brakes, the components are expensive and it has proven to be very difficult to create a low cost system that not only performs, but also meets the new SCCA rules for disc brakes. 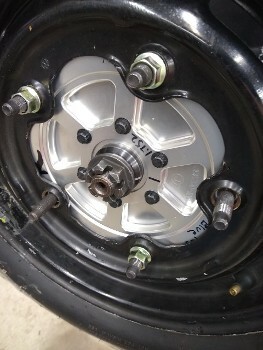 We have purchased many of the "the forums say it should work parts", modeled many of them in 3D when necessary, and so far have ended up with a lot of scrap metal. While we will continue to search for more economical solutions, the rules and requirements for safety and performance do not leave us with unlimited options. 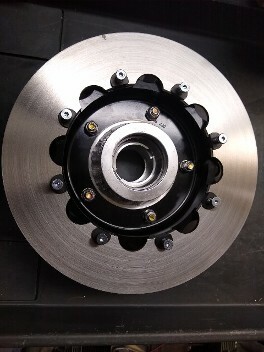 Our current FV Disc brake system is a no compromise system which we feel will be the leader in FV brakes moving forward. 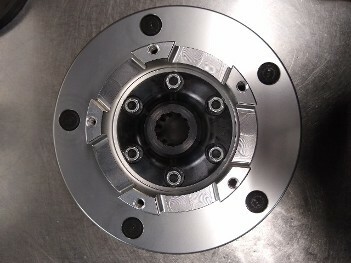 Click here to view our Disc Brake Package! A note to the haters. 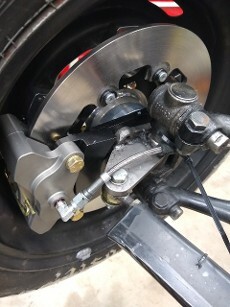 We did not invent the disc brake rule, support the rule change nor did we cheerlead for the rule change on internet. We simply took on the challenge to provide solutions for the new rules that are already in place in a class that we compete in.